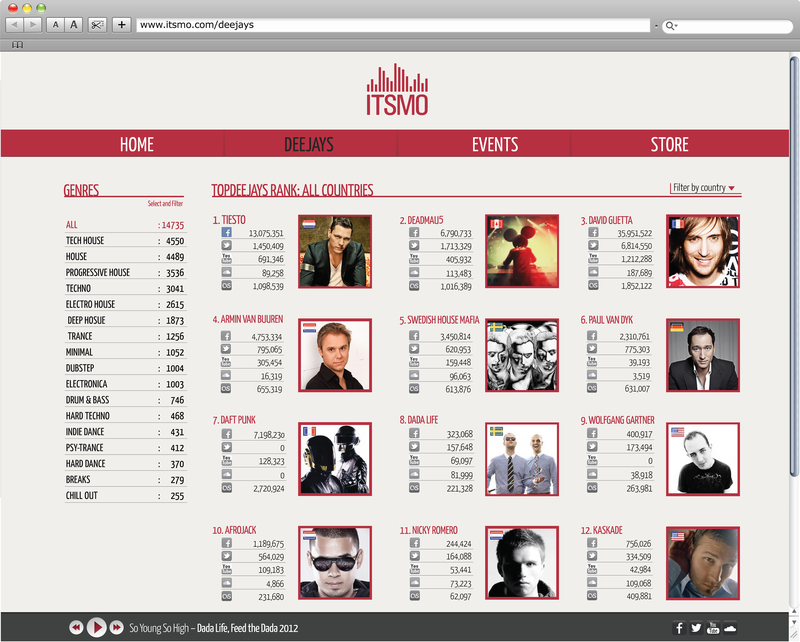 ITSMO is a site that brings the best deejays around the world. 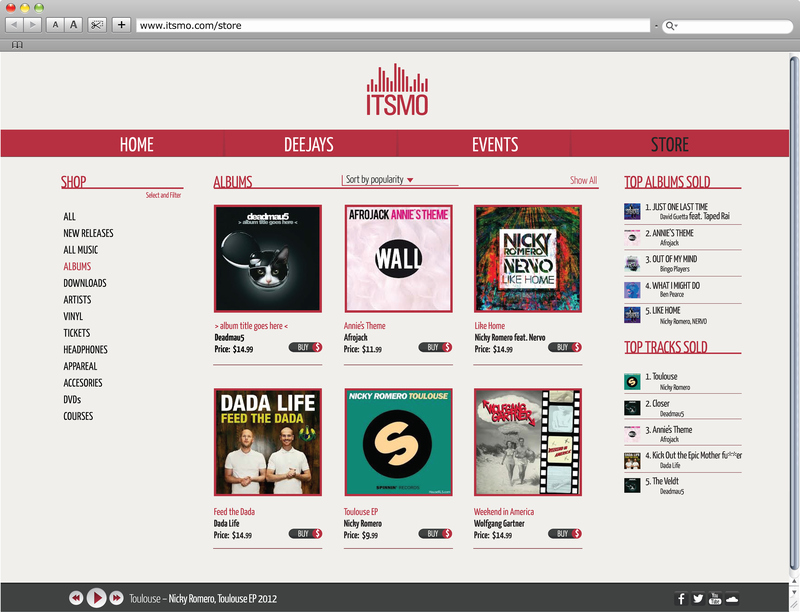 The site works depending on the social media followers to those artists. Also, it's an online store and news center for current events and festivals/concerts around the world.